"Come on girls lets go to the gate, bye selkies!" Kim said with sad voice and opened the gate. ''Bye. '' goes trought the gate. "Guys, let's go and search for the whales tomorrow, we will not give up! right?" "Some whales, they can't even stay in one place. ", Kayla grumbled. "Its getting late, let's get ready to sleep" Kim changes into Pajama. "It's been such a long day." said Lydia. "I'll go to sleep, I'm tired!" Said Kim. "I am tired too", Kayla dozes off. Lydia also goes to bed. "Good night" Kim heads up to bed. ''Good night girls.'' Alice heads up to bed. "GIRLS! WHERE IS THE SUN! ITS 10 AM" Said Kim. ''Oh no! Its so dark! What happened?'' asked Alice. Anna yawned as she woke up. "Don't yell," she said tiredly. She glanced up at the window. "Nice, it's gone." She rubbed her eyes. "Wait... WHAT???" "Let's go to the Pillar of light. 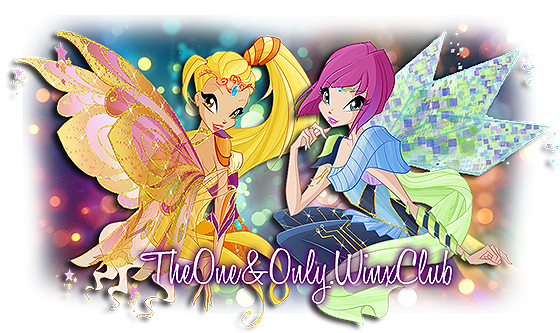 MAGIC WINX SIRENIX!" "Kim Fairy OF The White Dragon"
"Serianna, selkies! we need to get to the Pillar Of Light." "We know after us" Serianna said. "The Pillar its destroyed!" Kim Said. The guardian selkies saw them and said "Tritannus and The Trix + The mutants came and destroyed the pillar!" "Come on girls, we have to save it." "SIRENIX CONVERGENCE" The girls converge powers but nothing happens. "The pillar needs light"The selkies said. "Light! We need light! ", said Lydia. "Perhaps I could try? ", said Kayla. "Or maybe you Lydia." "Ok", Lydia focuses all her power, "Guys this is for you! Light of Sirenix!". The Pillar becomes stabilized and Lydia starts to faint. "Lydia!" Kim swims to her. "Are you okay?" Kim asked her. Daniella: *waits* Gosh, I have been waiting for hours!